$0.125 - T. T. Tucker & Bros. Created by: Armand M. Shank, Jr. There is a Rarity block on the Edit Issuer page. Within the block there is a checkbox for Rarity Overridden. Check that box to allow manual entry of the rarity, instead of using the calcluated value based on the number of notes reported. At the top of the Edit Note page are the fields for the note image. Use the buttons to navigate to the location of your computer to select the image, and then choose upload. Be sure to save your changes at the bottom of the Edit Note page. 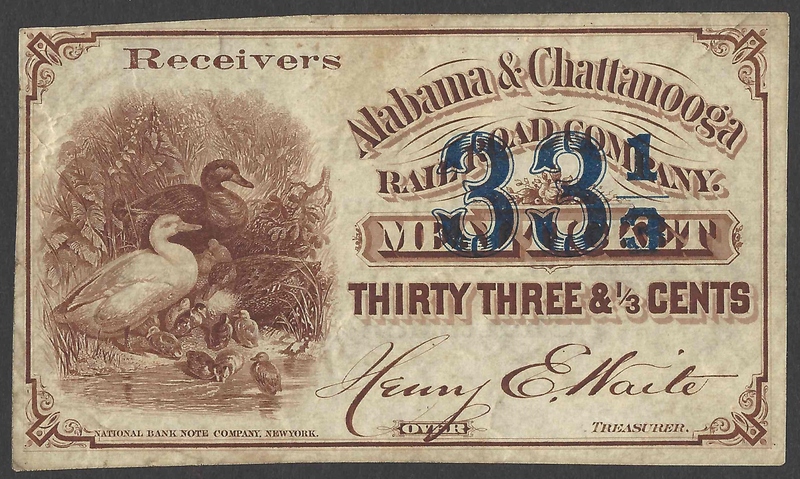 One of the final frontiers for paper money catalogers to tame is the area of U.S. Obsolete Notes. The field has been researched in earnest for over 90 years, beginning with the general but systematic cataloging efforts of D.C. Wismer. In following years, the vastness of the field had resulted in individual researchers specializing in certain states to expand the knowledge of local issues, one state at a time. This paradigm changed in the early 1980s, when Jim Haxby and his colleagues published their catalog of bank notes from throughout the country. This feat was successful because they sought the input of state specialists to make their listings as complete and accurate as possible. It has been over 30 years since the publication of their bank note catalog. In that time, two things have happened. The first is that a fair amount of new information has become available, particularly with the sale of the American Bank Note Company archives in the early 1990s, the sale of the Schingoethe Collection of obsolete notes over a decade ago, and most recently the dispersion of holdings from the Eric P. Newman Collection. Additionally, a significant amount of new research has been published by state specialists as they fill in the knowledge gaps, and lately Whitman has been rolling out their new series of catalogs. The second is that technology, especially forms of social networking on the internet, has enabled groups of people to share information more efficiently than ever before. 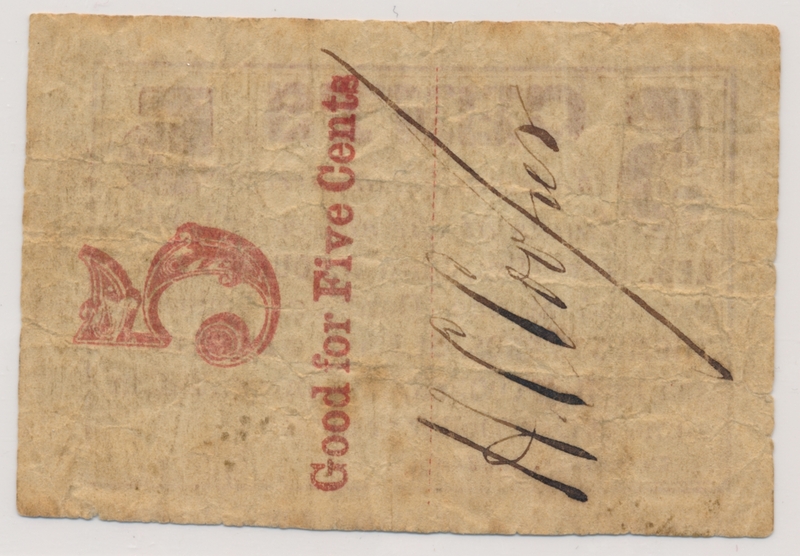 This new technology will allow the paradigm to again shift to a country-wide scale on the collection and dissemination of knowledge on U.S. Obsolete Notes. 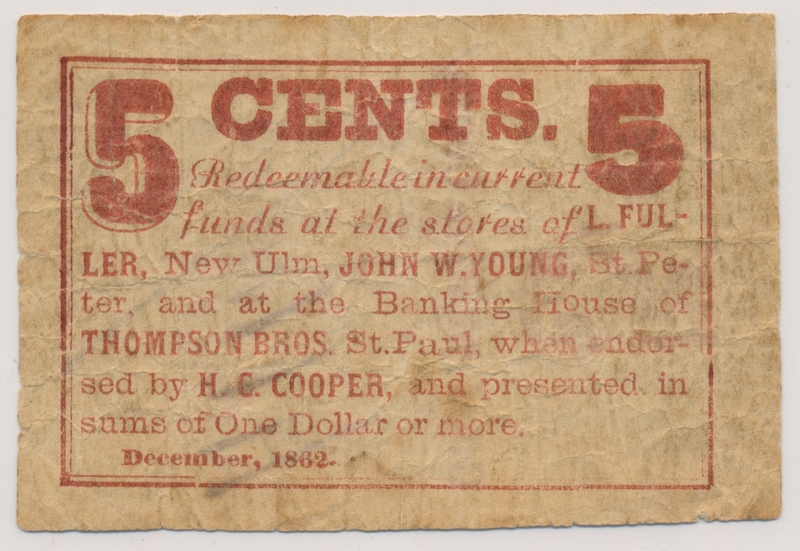 The Society of Paper Money Collectors has embarked on an ambitious project to compile a database of all U.S. obsolete bank notes. It is constructed in a manner similar to the web portal Wikipedia, where any member can contribute to the pool of information, and experts in their respective fields can correct and maintain the integrity of the data. There is a twofold scope to the project: 1) to catalog all reported obsolete notes, and 2) to keep a census of all reported notes. Included in the membership base are the people with the collective knowledge who can assist in assembling the initial working catalog and can serve as specialist experts in expanding and maintaining the data. The scope of the Obsoletes Database Project (ODP) is large, including obsolete bank notes, scrip, advertising notes, panic and depression scrip, and much more. In the long run, this project may be scalable to other collecting fields, such as Confederate and Fractional, and can document the many varieties of each. The project has been in progress now for three years. Over that time, we’ve built the infrastructure from scratch, incorporating a number of tools to facilitate the importing of data and images, as well as utilities that make the data accessible. The most recent feature, one that promotes the website to be a practical and everyday experience for collectors, is the Set Registry. Collectors can use the registry to track their own collections, and optionally compete with others annually for best-of-category awards. We presently have an extensive collection of issuer and design data from eleven states thanks to the efforts of numerous state experts. These states are Minnesota, Alabama, District of Columbia, Ohio, Wisconsin, Maryland, Iowa, Louisiana, South Carolina, Arkansas and Georgia. The first four of these states are also populated with note data and images. We anticipate to continue adding a few more states each year for the foreseeable future. The very first thing you can do as a collector of obsoletes is to check out the website at www.spmc.org/obs/. Nose around into all the nooks and crannies. Get a sense of what there is, and use your imagination to what this can look like in another three years. If you have a collection of obsolete notes, we need you, your expertise, and your data. The way to start is to scan in your collection at 300dpi or higher. Once you have those images, there are several different options, depending on the size of your collection, to get them and their corresponding data uploaded. You can upload these yourself, one at a time, via the “+ Note” link on the home page, or add a group of images via the “+ Note Gallery” link. If you already have your notes in a spreadsheet, we can adapt that spreadsheet into an importable one. This is the best method for large collections. Note that we firmly believe in providing credit for all contributions, and these are logged automatically on the Credits page, accessible via the link on top menu. For other questions not addressed here, be sure to check out the FAQ, also on the top menu. The Forum can be used to ask general questions or see what others are talking about. Whether you have just a few notes to share or a large collection, we the administrators of ODP would like to know who you are. Please drop Shawn an email at shawn@shawnhewitt.com to introduce yourself.